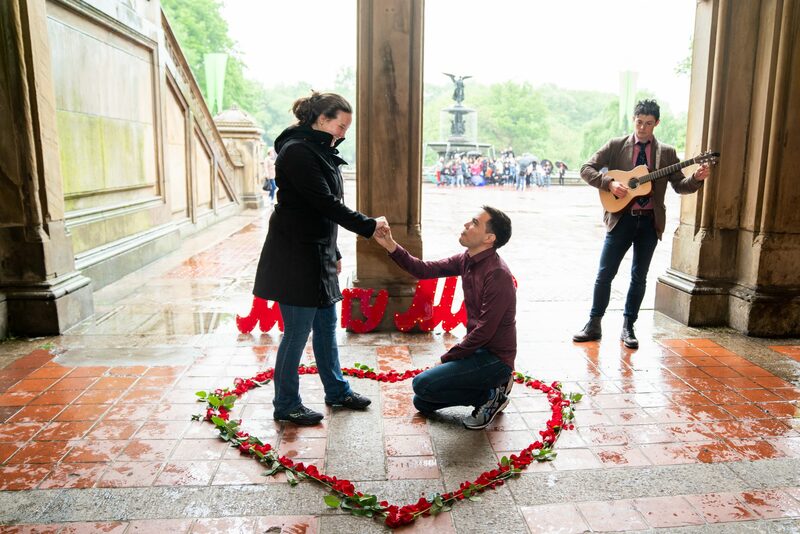 Behind the special proposal for The New York Times Magazine ” Love City” edition. 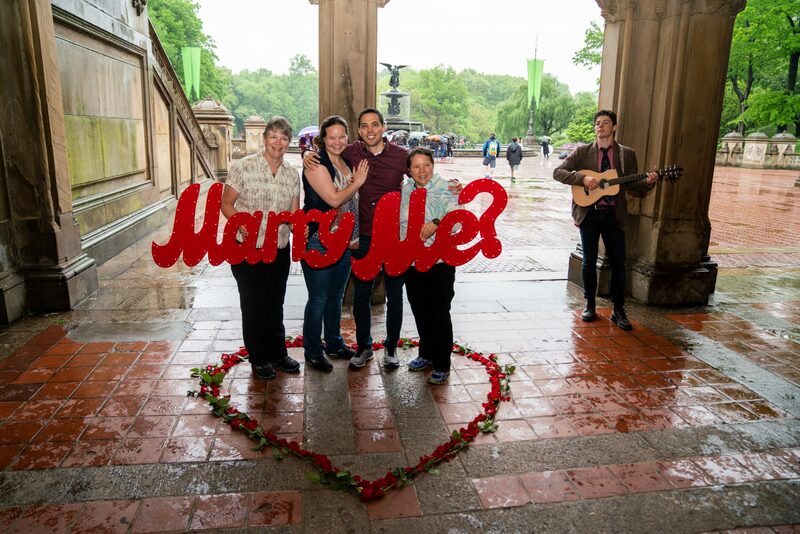 On May 19th, we had a very special proposal in Central Park. 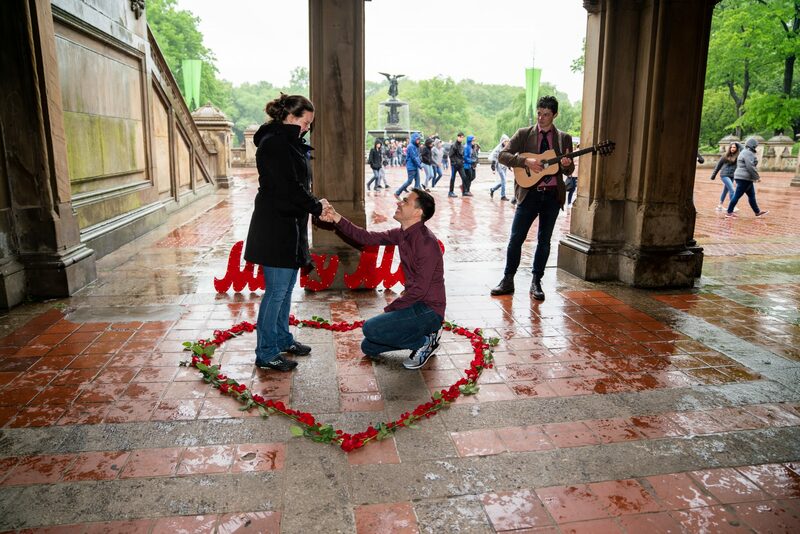 It was a pouring rain and we had to move the proposal from the Bow Bridge to under the Bethesda Fountain as it has the cover. The journalists from the New York Times were already waiting for us there. 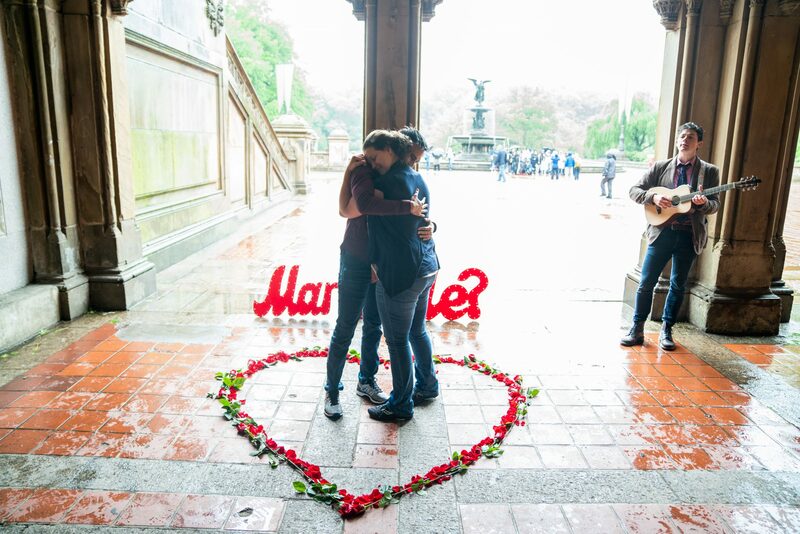 It was the day when the editors of the magazine decided to cover love stories from all over New York City for one day, so they were very busy and on schedual. Katelynn and Omar, arrived as planned. Omar knew that there will be the reporters and it really doesnt bother him much. What he doesnt know is that there will be a group of school kids on a field trip. So when he and his girlfriend came in, there was a large group of people waiting for them. 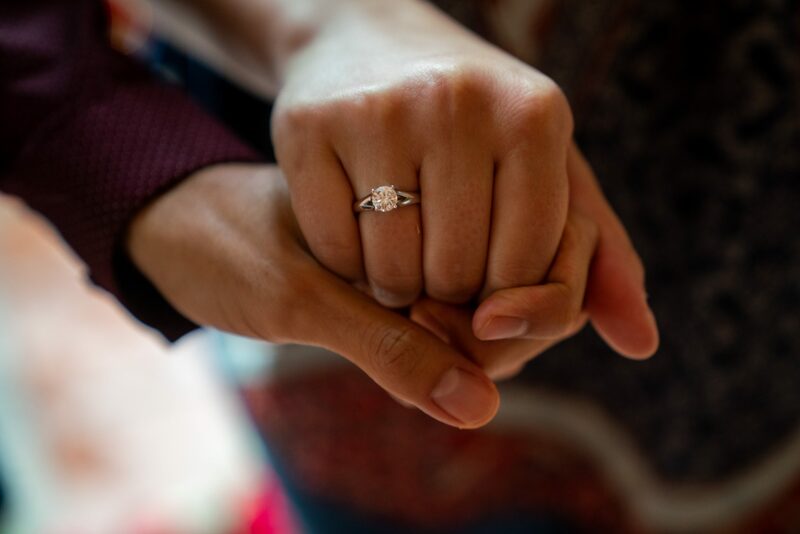 Omag bring Katelynn to the heart and ask her to be his wife. Kids were cheering so loud that we couldnt hear Katelynn saying ” Yes”. 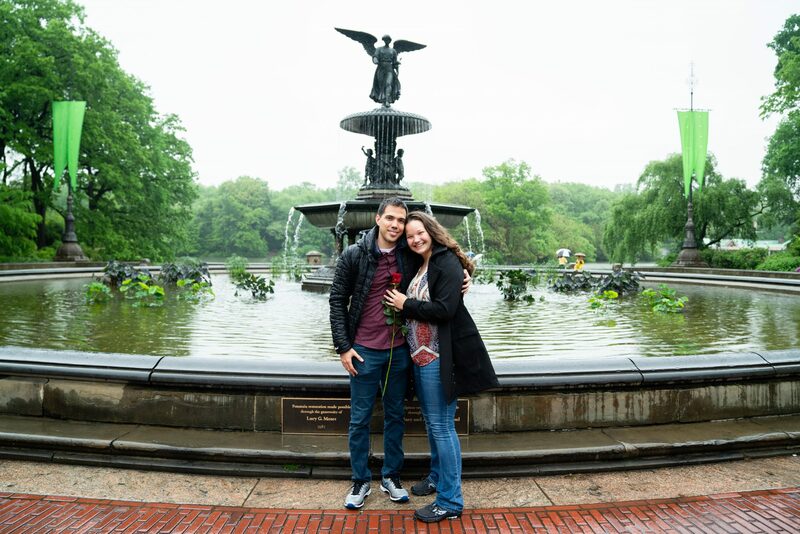 “I am from Colombia and Katie is from upstate New York, we met more than three years ago while we were both training at a Brazilian Jiu Jitsu Mixed Martial Arts Gym in NYC. We started as friends, and after a few months I gathered the courage and decided to ask her to go skydiving. We had, had a conversation one night leaving the gym about how skydiving was something that we had both always wanted to do but we both wanted to go with someone we knew and could have fun with, but until now neither of us could convince other people we knew to go. After that conversation I made it my mission to find a place for us to go skydiving. Once I found a place we made the arrangements. 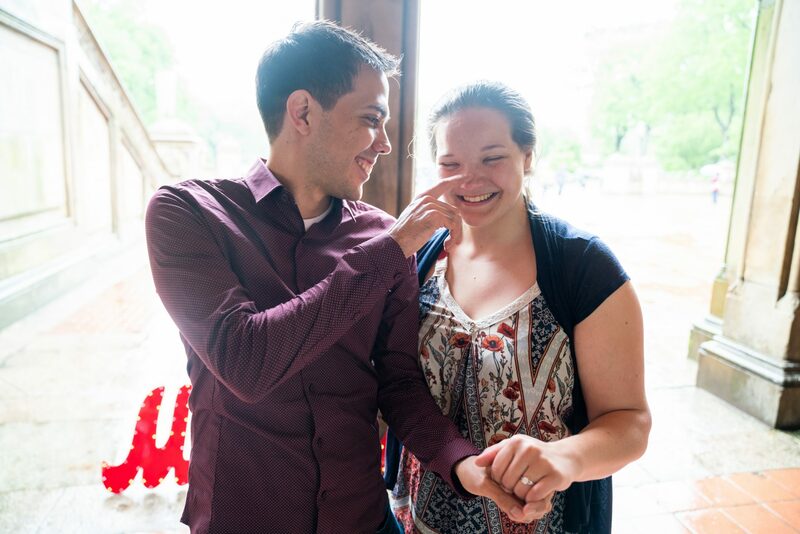 I have always considered the skydiving our first date and we have had many people weigh in because Katie claims she did not even know that I liked her as more than a friend until after we were on the train home and I began to ask her all sorts of questions. Even once I had decided to formally invite her on a date for the following weekend Katie claims she still was not 100% sure I intended it as a date until the evening started. That evenings date went well it was a typical adult first or second date with some food and drinks and because we were enjoying the date and each other a first kiss.